Giving pills to a dog can be tricky, especially after amputation surgery when they’re not feeling especially great. In this video we show you how to pill a dog using two methods, by hand and by using a pill gun. 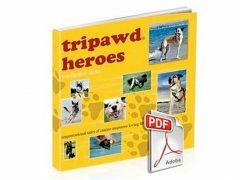 If you have a dog who hates taking pills, these tips will help make pill time a whole lot easier. 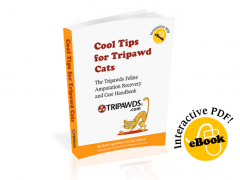 Check out our Tripawds Amazon blog post “How to Pill a Dog or Cat” for more handy tips on giving medicine to an animal. Also remember that pill guns are one of the greatest inventions ever. Always keep a few different ones on hand for those unexpected but inevitable medical emergencies.